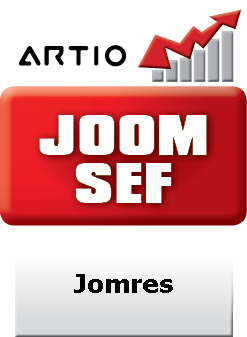 This Joomla SEO extension for ARTIO JoomSEF enables generation of Search Engine Friendly (SEF) URLs for the Jomres (reservation booking) component for Joomla. This extension requires ARTIO JoomSEF 3.4.x or newer. Compatible with Jomres 4 and newer. Use the JoomSEF built-in extension installer to install the extension package. After installation, purge already existing URLs for JReviews component and clean all caches (JoomSEF, Joomla)! For more details on JoomSEF extensions installation, upgrade and configuration, please check JoomSEF Paid Extension Information guide and JoomSEF documentation. Note: This extension is patching Jomres code to enable SEO optimization and SEF URLs. Please, follow carefully the installation instructions! The license is vald for one Joomla! / Jomres installation only. To use it on more sites, you need to buy extra license for each. The license price includes 1-year extension updates for free.